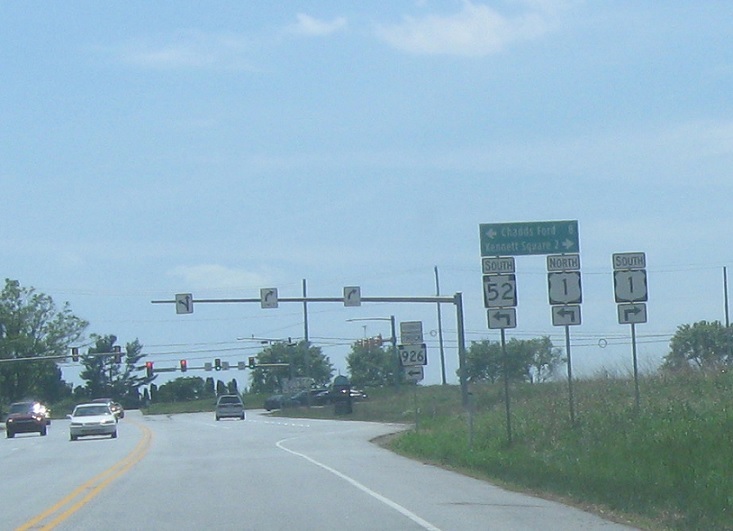 Reassurance shield after the 926 junction. At the light we’ll approach US 1. 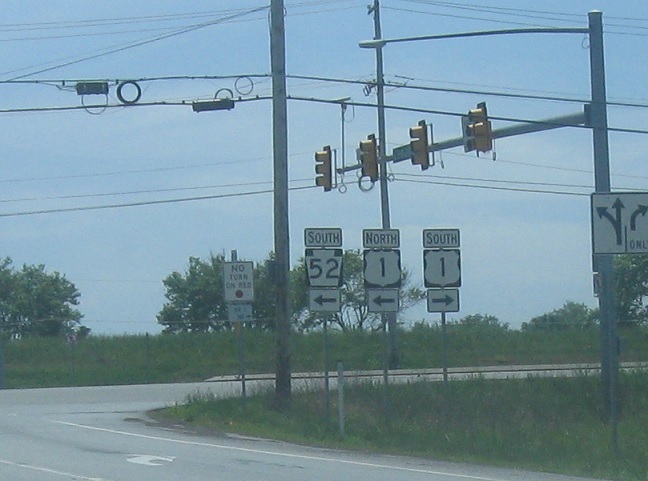 Turn left for 1 north and 52 south, which run wrong-way concurrent for a half mile or so. Turn right for 1 south. 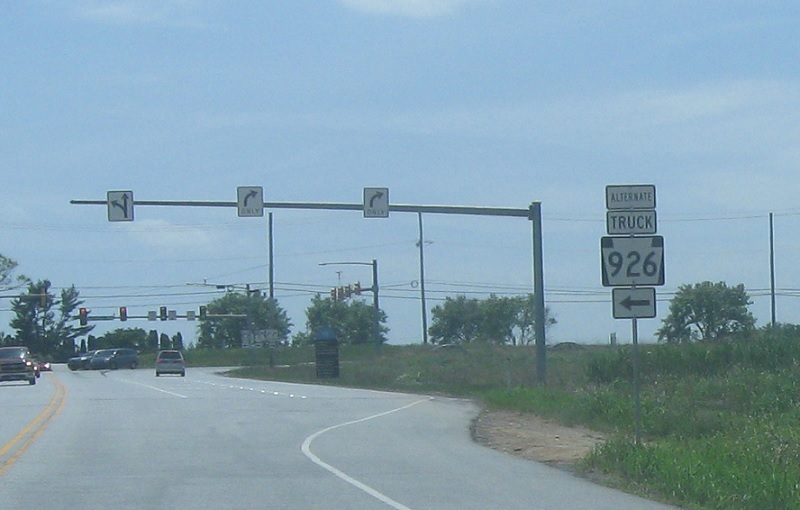 US 1 is also an alternate truck route for PA 926. 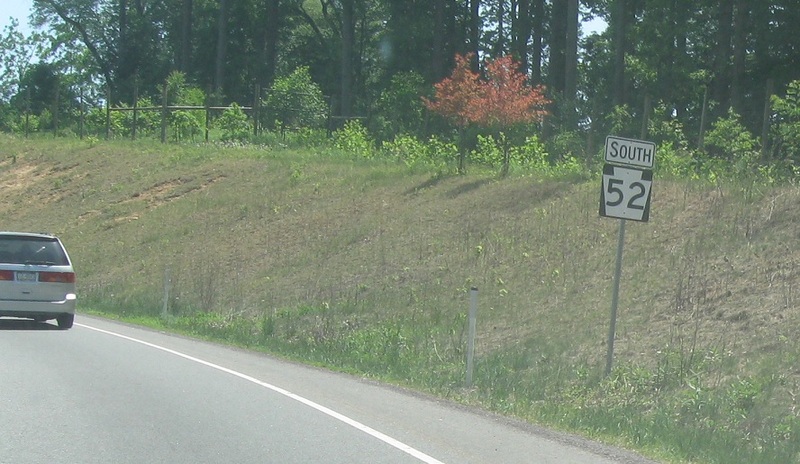 Turn left for 1 north/52 south. 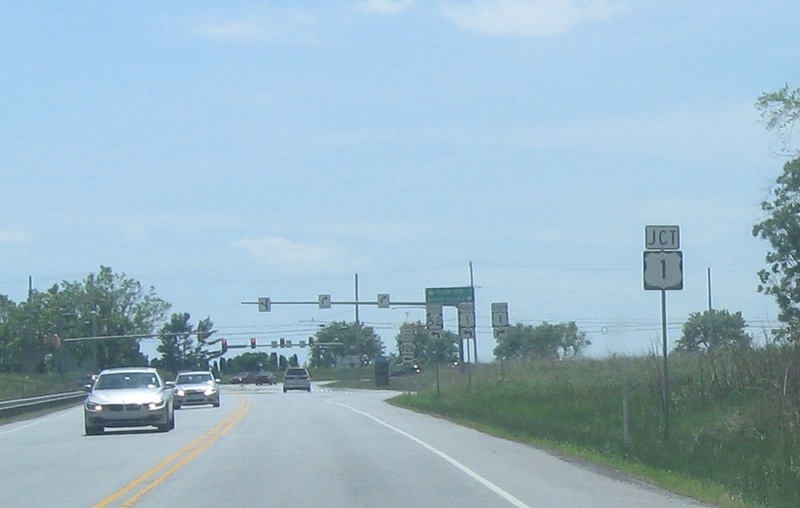 Turn right for 1 south.